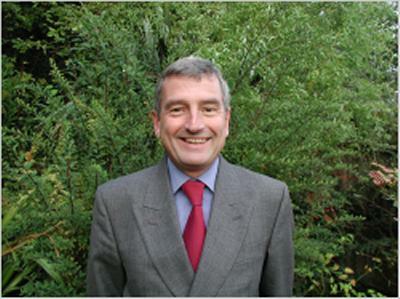 Professor Peter Ashburn is part of the Institute for Life Sciences at the University of Southampton. Born in Rotherham, Yorkshire, I studied for my bachelor and doctoral degrees in electrical and electronic engineering at the University of Leeds, England, graduating in 1974. I have always been fascinated by the interactions at the interface between industrial and university research, and this fascination is an important motivation for my research. My career began at the Philips Research Labs, where I gained valuable experience of silicon bipolar and MOS technology and electron beam lithography. After moving to the University of Southampton as a lecturer, I worked on polysilicon emitters in collaboration with Plessey. This work led to the development of a self-aligned, double polysilicon bipolar technology that is still in production today. The next phase of my career was a series of research projects on the applications of low temperature silicon epitaxy and silicon-germanium epitaxy, which led to work on SiGe heterojunction bipolar transistors. This research theme has been very fruitful and highly collaborative, involving extensive interactions with British Telecom, Zarlink, Centre National d’Etudes des Telecommunications, and ST Microelectronics. As channel lengths of MOS transistors move to nanometer dimensions, it is clear that major innovations will be needed to the architecture of MOS transistors. To control short channel effects, technologies will be needed for double gates, raised sources and drains, surround gates, vertical channels and ultimately 3D integrated structures and hence my research team is actively pursuing these possibilities. As part of this research, I have managed the European Union SIGMOS project, which had the goals of producing 50nm MOSFETs with raised sources & drains, SiGe p-channels, and strained silicon n-channels using Si:C and low capacitance vertical MOSFETs. These topics were pursued through the European Union SINANO project and are currently being pursued through a UK-funded project on vertical MOSFETs for RF applications. I am currently a professor in the Nano Group of the School of Electronics and Computer Science. I have published over 250 academic papers and have written two text books. Surround gate vertical MOSFETs: we are developing novel architectures for vertical MOSFETs for reducing overlap capacitance and suppressing short-channel effects. Application of vertical MOSFETs in radio frequency circuits is being researched. Transistor-in-a-grain technology for ultimate CMOS: we have developed a self-aligned amorphous silicon crystallization technique using a germanium seed and are researching the use of this technique to place small geometry MOS transistors inside a grain of polycrystalline silicon. Vacancy engineering for boron diffusion suppression: we are using vacancy-fluorine clusters to suppress boron diffusion in silicon and have applied this technique to silicon bipolar technology to achieve a world record cut-off frequency of 110GHz. Behaviour of fluorine in silicon: our earlier research has shown that fluorine has a variety of interesting and useful properties in silicon. We are currently using fluorine to dramatically increase the crystallization distance during metal induced lateral crystallization of amorphous silicon for application in thin film transistors used in displays. Silicon compatible carbon nanotube growth: we are researching a metal-free carbon nanotube growth method which is fully compatible with CMOS. The method uses germanium nanoparticles to seed the nanotube growth and yields single-wall, defect-free carbon nanotubes, with diameters typically less than 2nm. Carbon nanotube FETs: our new carbon nanotube growth method is currently being applied to the fabrication of carbon nanotube field effect transistors. Silicon nanowire transistors for biosensing applications. Sun, K., Zeimpekis, I., Hu, C., Ditshego, N. M. J., Thomas, O., Chong, H. M. H., ... Ashburn, P. (Accepted/In press). Effect of subthreshold slope on the sensitivity of nanoribbon sensors. Nanotechnology, 27, 1-9. Sun, K., Zeimpekis, I., Hu, C., Ditshego, N. M. J., Thomas, O., de Planque, M. R. R., ... Ashburn, P. (Accepted/In press). Low-cost top-down zinc oxide nanowire sensors through a highly transferable ion beam etching for healthcare applications. Microelectronic Engineering, 153, 96-100. Mohamed Sultan, S., Clark, O. D., Ben Masaud, T., Fang, Q., Gunn, R., Hakim, M. M. A., ... Chong, H. M. H. (2012). Remote plasma enhanced atomic layer deposition of ZnO for thin film electronic applications. Microelectronic Engineering. Kazmierski, T., Zhou, D., Al-Hashimi, B., & Ashburn, P. (2010). Numerically efficient modelling of CNT transistors with ballistic and non ballistic effects for circuit simulation. IEEE Transactions on Nanotechnology, 9(1), 99-107. Abdulmalik, D. A., Coleman, P. G., El Mubarek, H. A. W., & Ashburn, P. (2007). Fluorine complexes in Si-SiGe-Si structures. Journal of Applied Physics, 102(13530). El Mubarek, H. A. W., & Ashburn, P. (2007). Fluorine-vacancy engineering: a viable solution for dopant diffusion suppression in SOI substrates. Nanoscaled Semiconductor on Insulator Structures and Devices, Editors S.Hall, A.N.Nazarov, V.S.Lysenko, 73-87. Hakim, M. M. A., & Ashburn, P. (2007). Increased lateral crystallization width during nickel induced lateral crystallization of amorphous silicon using fluorine implantation. Journal of the Electrochemical Society, 154(8), H734-H742. Hakim, M. M. A., & Ashburn, P. (2007). Mechanism of germanium-induced perimeter crystallization of amorphous silicon. Journal of the Electrochemical Society, 154(4), H275-H282. Ashburn, P., & El Mubarek, H. A. W. (2007). Properties and benefits of fluorine in silicon and silicon-germanium devices. Journal of Telecommunications and Information Technology, 2, 3-9. Kham, M. N., Matko, I., Chenevier, B., & Ashburn, P. (2007). Reduced boron diffusion under interstitial injection in fluorine implanted silicon. Journal of Applied Physics, 102, 113718. Kham, M. N., El Mubarek, H. A. W., Bonar, J. M., Ashburn, P., Ward, P., Fiore, L., ... Messina, A. (2006). 110GHz fT Silicon Bipolar Transistors Implemented using Fluorine Implantation for Boron Diffusion Suppression. IEEE Transactions on Electron Devices, 53(3), 545-552. Gili, E., Uchino, T., Hakim, M. M. A., Hall, S., & Ashburn, P. (2006). Shallow junctions on pillar sidewalls for sub-100nm vertical MOSFETs. IEEE Electron Device Letters, 27(8), 692-695. Karunaratne, M. S. A., Bonar, J. M., Ashburn, P., & Willoughby, A. F. W. (2006). Suppression of boron diffusion due to carbon during rapid thermal annealing of SiGe based device materials: some comments. Journal of Materials Science, 41(3), 1013-1016. Lukyanchikova, N., Garbar, N., Smolanka, A., Lokshin, M., Hall, S., Buiu, O., ... Ashburn, P. (2006). The base current and related 1/f noise for SiGe HBTs realized by SEG/NSEG technology on SOI and bulk substrates. Materials Science in Semiconductor Processing, 9(4), 727-731. Lukyanchikova, N., Garbar, N., Smolanka, A., Lokshin, M., Hall, S., Buiu, O., ... Ashburn, P. (2005). 1/f Noise and Generation/Recombination Noise in SiGe HBTs on SOI. IEEE Transactions on Electron Devices, 52(7), 1468-1477. El Mubarek, H. A. W., Karunaratne, M., Bonar, J. M., Dilliway, G. D., Wang, Y., Hemment, P. L. F., ... Ashburn, P. (2005). Effect of Fluorine Implantation Dose on Boron Transient Enhanced Diffusion and Boron Thermal Diffusion in Si1-xGex. IEEE Transactions on Electron Devices, 52(4), 518-526. Kham, M. N., El Mubarek, H. A. W., Ashburn, P., & Bonar, J. (2005). Effect of fluorine on boron thermal diffusion in the presence of point defects. European Materials Research Society (E-MRS), Spring Meeting, Strasbourg, France. Karunaratne, M. S. A., Willoughby, A. F., Bonar, J. M., Zhang, J., & Ashburn, P. (2005). Effect of point defect injection on diffusion of boron in silicon and silicon-germanium in the presence of carbon. Journal of Applied Physics, 97(11), 113531. Mitrovic, I. Z., Buiu, O., Hall, S., Zhang, J., Wang, Y., Hemment, P. L. F., ... Ashburn, P. (2005). Electrical and Materials Characterisation of GSMBE Grown Si1-x-yGexCy Layers for Heterojunction Bipolar Transistor Applications. Semiconductor Science and Technology, 20, 95-102. Waite, A. M., Lloyd, N. S., Osman, K., Zhang, W., Ernst, T., Achard, H., ... Ashburn, P. (2005). Elevated Source/Drains for 50nm MOSFETs using HCl-Free Selective Epitaxy. Solid-State Electronics, 49, 529-534. Xu, L., Mc.Nally, P. J., Dilliway, G. D. M., Cowern, N. E. B., Jeynes, C., Mendoza, E., ... Bagnall, D. M. (2005). Raman study of the strain and H2 preconditioning effect on self-assembled Ge island on Si (001). Journal of Materials Science: Materials in Electronics, 16(7), 469-474. Mitrovic, I. Z., Buiu, O., Hall, S., Bagnall, D., & Ashburn, P. (2005). Review of SiGe HBTs on SOI. Solid-State Electronics, 49(9), 1556-1567. Bain, M., El Mubarek, H. A. W., Bonar, J. M., Wang, Y., Buiu, O., Gamble, H., ... Ashburn, P. (2005). SiGe Heterojunction Bipolar Transistors on Bonded SOI Incorporating Buried Silicide Layers. IEEE Transactions on Electron Devices, 52(3), 317-324. Kham, M. N., El Mubarek, H. A. W., Bonar, J. M., & Ashburn, P. (2005). Study of fluorine behaviour in silicon by selective point defect injection. Applied Physics Letters, 87(1), 11902. El Mubarek, H. A. W., Wang, Y., Price, R., Bonar, J. M., Zhang, J., Hemment, P. L. F., & Ashburn, P. (2005). Suppression of boron transient enhanced diffusion in silicon and silicon germanium by fluorine implantation. Materials Science in Semiconductor Processing, 8(1-3), 103-109. Uchino, T., Ashburn, P., Kiyota, Y., & Shiba, T. (2004). A CMOS-Compatible Rapid Vapor-Phase Doping Process for CMOS Scaling. IEEE Transactions on Electron Devices, 51(1), 14-19. Bonar, J. M., Uppal, S., Karunaratne, M. S. A., Willoughby, A. F., & Ashburn, P. (2004). Diffusion in SiGe: defect injection studies on Sb, As and B. Electrochemical Soc. Meeting: SiGe Materials, Processing and Devices, Honolulu. El Mubarek, H. A. W., Bonar, J. M., Dilliway, G. D., Ashburn, P., Karunaratne, M., Willoughby, A. F., ... Ward, P. (2004). Effect of fluorine implantation dose on boron thermal diffusion in silicon. Journal of Applied Physics, 96(8), 4114-4121. El Mubarek, H. A. W., Wang, Y., Bonar, J. M., Hemment, P. L. F., & Ashburn, P. (2004). Effect of Fluorine Implantation on Boron Diffusion in Metastable Si0.86Ge0.14. Material Research Society Symposium C Proceedings, MRS Spring Meeting, San Francisco. Dillaway, G. D. M., Cowern, N. E. B., Xu, L., McNally, P. J., Jeynes, C., Mendoza, E., ... Bagnall, D. M. (2004). Influence of H2 Preconditioning on the Nucleation and Growth of Self-Assembled Germanium Islands on Silicon (001). Mat. Res. Soc. Symp. Proc., 820, R7.10.1-R7.10.6. Pengpad, P., Osman, K., Lloyd, N. S., Bonar, J. M., Ashburn, P., Kemhadjian, H. A., ... Bagnall, D. M. (2004). Lateral SiGe heterojunction bipolar transistor by confined selective epitaxial growth: simulation and material growth. Microelectronic Engineering, 73(6), 508-513. El Mubarek, H. A. W., & Ashburn, P. (2004). Reduction of boron diffusion in silicon-germanium by fluorine implantation. IEEE Electron Device Letters, 25(8), 535-537. Hall, S., Buiu, O., Mitrovic, I., El-Mubarek, H., Ashburn, P., Bain, M., ... Hemment, P. (2004). SiGe Heterojunction Bipolar Transistors on Insulating Substrates NATO Advanced Research Workshop: Science and Technology of Semiconductor - On insulator structures devices operating in a harsh environment. Science and Technology of Semiconductor. Mitchell, M. J., Ashburn, P., Bonar, J. M., & Hemment, P. L. F. (2003). Comparison of arsenic diffusion in Si1-xGex formed by epitaxy and Ge+ implantation. Journal of Applied Physics, 93(9), 4526-4528. Sheng, S. R., McKinnon, W. R., McAlister, S. P., Storey, C., Hamel, J. S., & Ashburn, P. (2003). Hot-Carrier Stressing of NPN Polysilicon Emitter Bipolar Transistors Incorporating Fluorine. IEEE Transactions on Electron Devices, 50(4), 1141-1144. El Mubarek, H. A. W., Bonar, J. M., Ashburn, P., Wang, Y., Hemment, P., Buiu, O., & Hall, S. (2003). Non-selective growth of SiGe heterojunction bipolar transistor layers at 700C with dual control of n and p type dopant profiles. Journal of Materials Science: Materials in Electronics, 14(5), 261-265. Mitchell, MJ., Ashburn, P., & Hemment, P. L. F. (2002). Germanium diffusion in polysilicon emitters of SiGe heterojunction bipolar transistors fabricated by germanium implantation. Journal of Applied Physics, 92(11), 6924-6927. Ashburn, P. (2002). Materials and technology issues for SiGe heterojunction bipolar transistors. Journal of Materials Science in Semiconductor Processing, 4(6), 521-527. Rahim, A. I. A., Marsh, C. D., Ashburn, P., & Booker, G. R. (2001). Impact of ex-situ and in-situ cleans on the performance of bipolar transistors with low thermal budget in-situ phosphorus doped polysilicon emitter contacts. IEEE Transactions on Electron Devices, 48(11), 2506-2513. Schiz, J. F. W., Bonar, J. M., Lamb, A. C., Cristiano, F., Ashburn, P., Hall, S., & Hemment, P. L. F. (2001). Leakage current mechanisms associated with selective epitaxy in SiGe heterojunction bipolar transistors. Journal of Microelectronics and Reliability, 41(2), 273-279. Schiz, J. F. W., Lamb, A. C., Cristiano, F., Bonar, J. M., Ashburn, P., Hall, S., & Hemment, P. L. F. (2001). Leakage Current Mechanisms in SiGe HBTs Fabricated Using Selective and Nonselective Epitaxy. IEEE Transactions on Electron Devices, 48(11), 2492-2499. Hall, S., Lamb, A. C., Bain, M., Armstrong, B. M., Gamble, H., Murabek, H. A. W., & Ashburn, P. (2001). SiGe HBTs on Bonded Wafer Substrates. Microelectronic Engineering, 59, 449-454. Lukyanchikova, N., Garbar, N., Petrichuk, M., Schiz, J. F. W., & Ashburn, P. (2001). The influence of BF2 and F implants on the 1/f noise in SiGe HBTs with a self-aligned link base. IEEE Transactions on Electron Devices, 48(12), 2808-2815. Anteney, I. M., Parker, G. J., Ashburn, P., & Kemhadjian, H. A. (2001). The role of carbon on the electrical properties of polycrystalline Si1-y-Cy and Si0.82-yGe0.18Cy films. Journal of Applied Physics, 90(12), 6182-6189. Marsh, C. D., Moiseiwitsch, N. E., Booker, G. R., & Ashburn, P. (2000). Behaviour and effects of fluorine in annealed n+ polycrystalline silicon layers on silicon wafers. Journal of Applied Physics, 87(10), 7567-7578. Anteney, I. M., Parker, G. J., Ashburn, P., & Kemhadjian, H. A. (2000). Electrical properties of in-situ phosphorus and boron doped polycrystalline SiGeC films. Applied Physics Letters, 77(4), 561-563. Hashim, M. R., Lever, R. F., & Ashburn, P. (1999). 2D simulation of transient enhanced boron out-diffusion from the base of a SiGe HBT due to an extrinsic base implant. Solid-State Electronics, 43, 131-140. Nash, G. R., Schiz, J. F. W., Marsh, C. D., Ashburn, P., & Booker, G. R. (1999). Activation energy for fluorine transport in amorphous silicon. Applied Physics Letters, 75(23), 3671-3673. Anteney, I. M., Lippert, G., Ashburn, P., Osten, H. J., Heinemann, B., Parker, G. J., & Knoll, D. (1999). Characterisation of the effectiveness of carbon incorporation in SiGe for the elimination of parasitic energy barriers in SiGe HBT's. IEEE Electron Device Letters, 20, 116-118. Castaner, L., Silvestri, L., Carter, J., Parton, D., & Ashburn, P. (1999). Effects of fluorine in silicon solar cells with polysilicon contacts. Journal of Solar Energy Materials and Solar Cells, 53, 115-129. Schiz, J. F. W., & Ashburn, P. (1999). Improved base current ideality in polysilicon emitter bipolar transistors due to fast fluorine diffusion through oxide. Electronics Letters, 35(9), 752-753. Bonar, J. M., Schiz, J., & Ashburn, P. (1999). Selective and non-selective growth of self-aligned SiGe HBT structures by LPCVD epitaxy. Journal of Materials Science: Materials in Electronics, 10, 345-349. Wainwright, S. P., Hall, S., Ashburn, P., & Lamb, A. C. (1998). Analysis of SiGe heterojunction integrated injection logic structures using a charge stored model. IEEE Transactions on Electron Devices, 45, 2437-2447. Moiseiwitsch, N. E., Marsh, C. D., Ashburn, P., & Booker, G. R. (1998). Assessment of a methanol last interface treatment for use in polysilicon emitter transistor fabrication. Electrochemical and Solid-State Letters, 1, 91-93. Souifi, A., Barros, O. D., Bremond, G., Tron, B. L., Mouis, M., Vincent, G., & Ashburn, P. (1998). Investigation of process induced defects in SiGe/Si HBTs by deep level transient spectroscopy. Journal of Vacuum Science and Technology, B16, 1745-1749. Tron, B. L., Hashim, M. D. R., Ashburn, P., Mouis, M., Chantre, A., & Vincent, G. (1997). Determination of bandgap narrowing and parasitic energy barriers in SiGe HBTs integrated in a bipolar technology. IEEE Transactions on Electron Devices, 44, 715-722. Ashburn, P., Boussetta, H., Hashim, M. D. R., Chantre, A., Mouis, M., Vincent, G., & Parker, G. J. (1996). Temperature dependence of the collector current of bipolar transistors with epitaxial and ion implanted bases. IEEE Transactions on Electron Devices, 43, 774-783. Ashburn, P. (2003). SiGe Heterojunction Bipolar Transistors. John Wiley & Sons. Morgan, H., Kalsi, S., Valiadi, M., Zeimpekis, I., Hu, C., Sun, K., & Ashburn, P. (2015). From smartphones to diagnostics: Low cost electronics for programmable digital microfluidics and sensing. 254-256. International Conference on Miniaturized Systems for Chemistry and Life Sciences, Gyeongju, Korea, Republic of. Sun, K., Zeimpekis, I., Ditshego, N. M. J., Hu, C., Thomas, O., de Planque, M. R. R., ... Ashburn, P. (2015). Top-down zinc oxide nanowires by ion beam etching for biosensing applications. Poster session presented at 41st International Conference on Micro and Nano Engineering (MNE 2015), Netherlands. Papadimitriou, K. I., Zeimpekis, I., Moschou, D., Kai, S., Hu, C., Ashburn, P., ... Prodromakis, T. (2015). Towards a high-precision, embedded system for sensitive biosensing measurements. Paper presented at IEEE Biomedical Circuits and Systems (BioCAS) Conference, United States. Zeimpekis, I., Sun, K., Hu, C., Thomas, O., de Planque, M. R. R., Chong, H. M. H., ... Ashburn, P. (2014). A differential measurement technique to eliminate parasitic resistance effects in ion sensitive sensors. Poster session presented at Micro and Nano Engineering, Switzerland. Ditshego, N. M. J., Sun, K., Zeimpekis, I., de Planque, M. R. R., Ashburn, P., & Chong, H. M. H. (2014). Effects of surface passivation on top-down ZnO nanowire transistors. Poster session presented at Micro and Nano Engineering, Switzerland. Tarazona, A., de Leon, M. T., Grech, D., Zeimpekis, I., Sun, K., Chong, H., & Ashburn, P. (2014). Illustration of the industrial readiness of hot wire chemical vapor deposition (HWCVD) as part of standard micro-fabrication and high spec nanofabrication production lines. Sun, K., Zeimpekis, I., Hu, C., Thomas, O., de Planque, M. R. R., Chong, H. M. H., ... Ashburn, P. (2014). Top-down polysilicon nanowires by ion beam etching for biosensing applications. Poster session presented at Micro and Nano Engineering, Switzerland. M. Sultan, S., Ditshego, N. J., Gunn, R., Kalna, K., Ashburn, P., & Chong, H. M. H. (2013). Top-down ZnO nanowire field effect transistors for logic circuit applications. Paper presented at European Material Research Society Fall Meeting 2013, Poland. Sun, K., Hakim, MMA., Zeimpekis, I., Gunn, R., & Ashburn, P. (2012). Comparison of Etches for Top-down Fabrication of Polycrystalline Silicon Nanowires. Nikolaenko, A. E., Atmatzakis, E., Papasimakis, N., Luo, Z., Shen, Z. X., Boden, S. A., ... Zheludev, N. I. (2012). Terahertz bandwidth optical nonlinearity of graphene metamaterial. Paper presented at CLEO/QELS, San Jose, United States. Lombardini, M., Al Hakim, M., Sun, K., Broder, G., Giustiniano, F., de Planque, M. R. R., ... Ashburn, P. (2011). Inflammatory biomarker sensing using rectangular polycrystalline silicon nanowires made by dry etching. 1086-1088. 15th International Conference on Miniaturized Systems for Chemistry and Life Sciences, Seattle, United States. Mohamed Sultan, S., Clark, O., Ben Masaud, T., Fang, Q., Gunn, R., Al Hakim, M., ... Chong, H. (Accepted/In press). Remote Plasma Atomic Layer Deposition of ZnO for Thin Film Electronic Applications. Poster session presented at Micro and Nano Engineering, Germany. Sámson, Z. L., Gholipour, B., De Angelis, F., Li, S., Knight, K. J., Zhang, J., ... Zheludev, N. I. (2010). Active photonic metamaterials. Paper presented at 8th Electro-Optics and Infrared Conference, United Kingdom. Sámson, Z., Zhang, J., Adamo, G., Uchino, T., Gholipour, B., Knight, K., ... Zheludev, N. I. (2010). Chalcogenide plasmonic metamaterial switches. Paper presented at SPIE Optics & Photonics 2010, United States. Sun, K., Hakim, M. M. A., Kong, J., de Planque, M. R. R., Morgan, H., Roach, P. L., ... Ashburn, P. (2010). Polycrystalline silicon nanowires patterned by top-down lithography for biosensor applications. The 36th International Conferenece on Micro & nano Engineering, . Kai, S., Hakim, M. M. A., & Ashburn, P. (2010). Recrystallised Si Nanofingers and Nanowires for Low Cost Biosensor Applications. Poster session presented at International Symposium on Atom-scale Si Hybrid Nanotechnologies, United Kingdom. Sun, K., Hakim, M. M. A., Lombardini, M., Davies, D. E., Roach, P. L., de Planque, M. R. R., ... Morgan, H. (2010). Sensors for chemical detection based on top-down fabricated polycrystalline silicon nanowires. NanoBioTech 2010, Switzerland. Tan, L., Hakim, M. M. A., Connor, S., Bousquet, A., Redman-White, W., Ashburn, P., & Hall, S. (2009). Characterisation of CMOS compatible vertical MOSFETs with new architectures through EKV parameter extraction and RF measurement. 165-168. Poster session presented at 10th International Conference on ULtimate Integration of Silicon (ULIS), Aachen, Germany. Sun, K., Hakim, M. M. A., & Ashburn, P. (2009). Metal Induced Lateral Crystallization of Amorphous Silicon Nanoribbons for Application in Biosensors. E-MRS 2009 Spring Meeting, France. Tan, L., Hakim, M. M. A., Uchino, T., Redman-White, W., Ashburn, P., & Hall, S. (2008). Asymmetrical IV characteristics and junction regions in implantation defined surround gate vertical MOSFETs. 9th International Conference on Solid State and Integrated Circuit Technology (ICSICT), China. Hakim, M. M. A., Uchino, T., Redman-White, W., Ashburn, P., Tan, L., Buiu, O., & Hall, S. (2008). Improved sub-threshold Slope in RF vertical MOSFETS using a frame gate architecture. 38th European Solid-State Device Research Conference (ESSDERC 2008), United Kingdom. Tan, L., Hall, S., Buiu, O., Hakim, M. M. A., Uchino, T., Ashburn, P., & Redman-White, W. (2008). Series resistance in vertical MOSFETs with reduced drain/source overlap capacitance. 187-190. Poster session presented at 9th International Conference on Ultimate Integration of Silicon (ULIS 2008), Italy. El Mubarek, H. A. W., & Ashburn, P. (2007). Fluorine enriched SOI (FSOI): a novel solution for future ultra-shallow junction devices. Materials Research Society Conference, United States. Hall, S., Tan, L., Buiu, O., Hakim, M. M. A., Uchino, T., Ashburn, P., & White, W. R. (2007). Vertical MOSFETs for high performance, low cost CMOS. Paper presented at International Semiconductor Conference, CAS, . Tan, L., Buiu, O., Hall, S., Gili, E., & Ashburn, P. (2006). A Technology for Building Shallow Junction MOSFETs on Vertical Pillar Walls. Poster session presented at 8th International Conference on Solid State Electronics & Integrated Technology, China. Gluszko, G., Lukasiak, L., Gili, E., & Ashburn, P. (2006). Charge pumping characterisation of FILOX vertical MOSFETs. 7th Symposium on Diagnostics and Yield, Poland. Lukyanchikova, N., Garbar, N., Smolanka, A., Lokshin, M., Hall, S., Buiu, O., ... Ashburn, P. (2006). On the physical nature of the base current 1/f noise typical for SiGe HBTs and Si BJTs made by SEG/NSEG epitaxy. Poster session presented at E-MRS, European Materials Research Society, France. Ashburn, P., & El Mubarek, H. A. W. (2006). Properties and benefits of fluorine in Si and SiGe devices. 7th Diagnostics and Yield Symposium, Poland. Mitrovic, I. Z., El Mubarek, H. A. W., Buiu, O., Hall, S., & Ashburn, P. (2006). SiGeC HBTs: impact of C on device performance. Nato Advanced Research Workshop, Ukraine. Zhang, J., Neave, J. H., Li, X. B., Fewster, P. F., El Mubarek, H. A. W., Ashburn, P., ... Hall, S. (2004). Growth of SiGe layers by GSMBE and their characterisation by X-ray techniques. Paper presented at SiGe: Materials, Processing, and Devices 1st International Symposium , Honolulu, United States. Zhang, J., Neave, J. H., Li, X. B., Fewster, P. F., El Mubarek, H. A. W., Ashburn, P., ... Hall, S. (2004). GSMBE growth and structural characterisation of SiGeC layers for HBT. Paper presented at MBE2004, . El Mubarek, H. A. W., Bonar, J. M., & Ashburn, P. (2004). Reduction of boron transient enhanced diffusion in silicon and silicon-germanium by fluorine implantation. Paper presented at Technology and Device Meeting 2004 , Frankfurt, Germany. Hall, S., Buiu, O., Lamb, A. C., El Mubarek, H. A. W., & Ashburn, P. (2003). Current crowding effects in SOI-SiGe HBTs with low doped emitters. 303-306. Paper presented at 33rd European Solid State Device Research Conference, Portugal. Waite, A. M., Lloyd, N. S., Ashburn, P., Evans, A. G. R., Ernst, T., Achard, S., ... Hemment, P. L. F. (2003). Raised source/drain for 50nm MOSFETs: effect of epitaxy layer thickness on short channel effects. 223-226. 33rd European Solid State Device Research Conference, Portugal. Wang, Y., Waite, A., Cerrina, C., Hemment, P. L. F., Ashburn, P., & Evans, A. G. R. (2003). TEM study of solid phase epitaxial growth behaviour of normal and angled Si implanted gate stack structure. Poster session presented at Microscopy of Semiconducting Materials Conference, . Abdul Rahim, A. I., Marsh, C. D., Ashburn, P., & Booker, G. R. (2002). Low temperature in-situ phosphorus doped single-crystal silicon emitters for application in SiGe HBTs. 226-229. IEEE International Conference on Semiconductor Electronics, Malaysia. Sabki, S. N., Hashim, M. R., Aziz, A. A., & Ashburn, P. (2002). Modeling of TED of boron in the underlying silicon layer due to boron implantation. 324-328. IEEE International Conference on Semiconductor Electronics, Malaysia. Ashburn, P., Mubarek, H. A. W. E., Bonar, J. M., & Redman-White, W. (2001). SiGe heterojunction bipolar transistors on insulator. 433-444. Electrochemical Society Spring Meeting: Tenth International Symposium on Silicon On Insulator Technology and Devices, United States. Ashburn, P., El Mubarek, H. A. W., Bonar, J. M., & Redman-White, W. (2001). SiGe Heterojunction Bipolare Transistors on Insulator. Paper presented at Electrochemical Society Meeting, United States. Marsh, C. D., Nash, G. R., Schiz, J. F. W., Booker, G. R., & Ashburn, P. (2001). TEM and SIMS study of the behaviour of fluorine in as-deposited amorphous and polysilicon annealed at 600 to 950C. Microscopy of Semiconducting Materials Conference, United Kingdom. Mitchell, M., Ashburn, P., Graoui, H., Hemment, P. L. F., Lamb, A., Hall, S., & Nigrin, S. (2000). A comparison of pnp and npn SiGe HBTs fabricated by Ge implantation. 248-251. Proceedings of 30th European Solid State Device Research Conference, . Graoui, H., Nejim, A., Hemment, P. L. F., Riley, L., Mitchell, M., & Ashburn, P. (2000). SiGe device architectures synthesised by local area Ge implantation; structural and electrical characterisation. Proceedings of Ion Implantation Technology Conference, . Mitchell, M., Nigrin, S., Cristiano, F., Ashburn, P., & Hemment, P. (1999). Characterisation of npn and pnp SiGe HBTs formed by Ge implantation. 254-259. Proceedings of IEEE Workshop on High Performance Electron Devices for Microwave and Optoelectronic Applications, . Marsh, C. D., Moiseiwitsch, N. E., Nash, G. R., Booker, G. R., & Ashburn, P. (1999). Enhanced oxide break up and polysilicon regrowth using fluorine and a methanol last wafer pre clean. 477-480. Proceedings of the Microscopy of Semiconducting Materials Conference, . Schiz, J. F. W., Bonar, J. M., Lamb, A. C., Cristiano, F., Ashburn, P., Hemment, P. L. F., ... Grunbacher, H. (Ed.) (1999). Leakage current mechanisms associated with selective epitaxy in SiGe heterojunction bipolar transistors. 344-347. Proceedings of 29th European Solid State Device Research Conference, . Schiz, J. F. W., Bonar, J. M., & Ashburn, P. (1998). A selective/non selective epitaxy process for a novel SiGe HBT architecture. 321-327. Proceedings of Materials Research Society Spring Meeting, . Anteney, I. M., Ashburn, P., Parker, G. J., Lippert, G., & Ashburn, P. (1998). Effect of carbon position in the base for the elimination of parasitic energy barriers in SiGe:C HBTs. 132-135. Proceedings of European Solid State Device Research Conference, . Marsh, C. D., Booker, G. R., Moiseiwitsch, N. E., Schiz, J. F. W., & Ashburn, P. (1998). TEM structural studies of polysilicon emitter bipolar materials and devices: increased interfacial oxide break-up and polysilicon regrowth and decreased emitter resistance by fluorine implantation. 195-198. Proceedings of Materials Research Society Spring Meeting, . Schiz, J., Bonar, J. M., & Ashburn, P. (1997). A novel self-aligned SiGe HBT structure using selective and non-selective epitaxy. 255-260. Proceedings of 5th IEEE Workshop on High Performance Electron Devices for Microwave and Optoelectronic Applications, . Hashim, M. D. R., Lever, R. F., & Ashburn, P. (1997). Characterisation of the effects of transient enhanced diffusion in SiGe HBTs by a comparison of measured and 2D simulated device characteristics. 96-99. Proceedings of IEEE Bipolar/BiCMOS Circuits and Technology Meeting, . Anteney, I., Lippert, G., Ashburn, P., Osten, H. J., & Parker, G. J. (1997). Electrical determination of bandgap narrowing and parasitic energy barriers in SiGe and SiGeC heterojunction bipolar transistors. 55-60. Proceedings of 5th IEEE Workshop on High Performance Electron Devices for Microwave and Optoelectronic Applications, . Rahim, A. I. A., Marsh, C. D., Ashburn, P., & Booker, G. R. (1997). Improved control of polysilicon emitter interfacial oxide using a UHV-compatible cluster tool. 232-236. Proceedings of 5th IEEE Workshop on High Performance Electron Devices for Microwave and Optoelectronic Applications, . Bonar, J. M., Schiz, J., & Ashburn, P. (1997). Improved epitaxial quality following etch damage removal on plasma etched silicon surfaces. 407-410. Proceedings of Microscopy of Semiconducting Materials Conference, . Parker, G. J., Ashburn, P., & Bonar, J. M. (1997). LPCVD epitaxy of Si and SiGe and incorporation of these materials in advanced bipolar devices. 123-124. Proceedings of 7th International Symposium on Silicon Molecular Beam Epitaxy, . Moiseiwitsch, N. E., Kennedy, G. P., Wainwright, S., Ashburn, P., & Hall, S. (1997). The design and characterisation of a SiGe I2L technology. 348-351. Proceedings of European Solid State Device Research Conference, . Marsh, C. D., Moiseiwitsch, N. E., Booker, G. R., & Ashburn, P. (1997). The effects of fluorine on the epitaxial regrowth of arsenic doped amorphous silicon and polysilicon and of chlorine on the epitaxial regrowth of arsenic doped polysilicon. 411-414. Proceedings of Microscopy of Semiconducting Materials Conference, . Boussetta, H., Gregory, H. J., Bonar, J. M., Ashburn, P., & Parker, G. J. (1996). Application of silane only selective epitaxy to the fabrication of fully self-aligned silicon bipolar transistors. 795-798. Proceedings of European Solid State Device Research Conference, . Moiseiwitsch, N. E., Schiz, J. F. W., Marsh, C. D., Ashburn, P., & Booker, G. R. (1996). Increased current gain and reduced emitter resistance in F-implanted low thermal budget polysilicon emitters for SiGe HBTs. 177-180. Siabi-Shahrivar, N., Redman-White, W., Ashburn, P., & Post, I. (1990). Low frequency noise of NPN/PNP polysilicon emitter bipolar transistors. Paper presented at European Solid State Device Research Conference, Montreux, Switzerland. Siabi-Shahrivar, N., Redman-White, W., Ashburn, P., & Post, I. (1990). Low frequency noise performance of NPN/PNP polysilicon emitter bipolar transistors. Siabi-Shahrivar, N., Redman-White, W., Ashburn, P., & Post, I. (1990). Modelling and characterisation of noise of polysilicon emitter bipolar transistors. Post, I. R. C., & Ashburn, P. (1989). Fabrication and characterisation of pnp polysilicon emitter bipolar transistors. Paper presented at ESSDERC ’89: 19th European Solid State Device Research Conference, Berlin, Germany.